Q: What aspects of U.S.-GCC cooperation are looked upon favorably by citizens of the Gulf Cooperation Council (GCC) countries (the GCC is comprised of Bahrain, Kuwait, Qatar, Oman, Saudi Arabia, and the United Arab Emirates)? President George W. Bush and Saudi Arabia’s Crown Prince Abdullah meeting at Bush’s ranch in Crawford, Texas, April 25, 2005. John Duke Anthony: GCC citizens, almost without exception, are aware of and deeply grateful for the effective United States external defense umbrella over the GCC’s member-countries. The 1979 Access to Facilities Agreement between the United States and Oman, the four separate Defense Cooperation Agreements (DCAs) between the United States and Bahrain, Kuwait, Qatar, and the United Arab Emirates, and the much older and more multifaceted defense undertakings and understandings between the United States and Saudi Arabia have arguably proven effective. In concept and enactment, the DCAs were not entirely original. They built upon earlier British protected-state treaties dating from the first half of the 19th century that lasted until their abrogation in 1971. 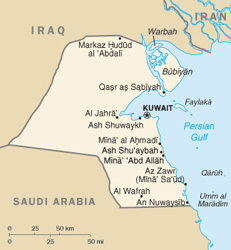 Viewed together – tellingly, despite the absence of such arrangements in the period spanning two decades from December 1, 1971 to Iraq’s August 2, 1990 invasion of Kuwait, which was the one exception – the two successive international arrangements have succeeded in deterring adversaries while simultaneously strengthening and expanding the defense capacities of the GCC countries against external intimidation and attack. In addition, the older and lower profile educational, commercial, and other private sector dimensions of the GCC countries-U.S. relationship are not only intact. In spite of general impressions implying the opposite, they are at their most robust level ever. Youth and adults alike, and especially the hundreds of thousands of GCC country graduates from American colleges and universities, remain partial to U.S. science and technology, and eager to be ongoing beneficiaries of the fruits of North American education, research, and development. Examples include the continued provision of advanced medicines, the administration of quality health care systems and facilities, the transfer of state-of-the-art technology in the realms of information and telecommunications structures, systems, and equipment, and the utilization of American-manufactured aircraft and automobiles as well as trade in a broad range of goods and services. Also, many GCC citizens believe the American education system, together with its related training and human resources development components and programs, are likely destined to retain their preeminent status for some time yet to come. This is in spite of the American reaction to the trauma of September 11, 2001, of course, which dealt a severe but not fatal blow to this key component of the relationship. 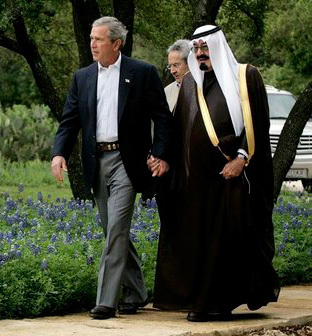 That the worst did not occur is thanks largely to the 2005 meeting between Saudi Arabia’s then-Crown Prince Abdallah and then-U.S. President Bush in Crawford, Texas, which led to the easing of U.S. visa issuance process for students from GCC countries seeking admission to American institutions of higher education. National Council on U.S.-Arab Relations Founding President & CEO Dr. John Duke Anthony periodically responds to questions posed by friends of the National Council for the Arabia, the Gulf, and the GCC Blog. Find Dr. Anthony’s full biography here and read more from Dr. Anthony here.